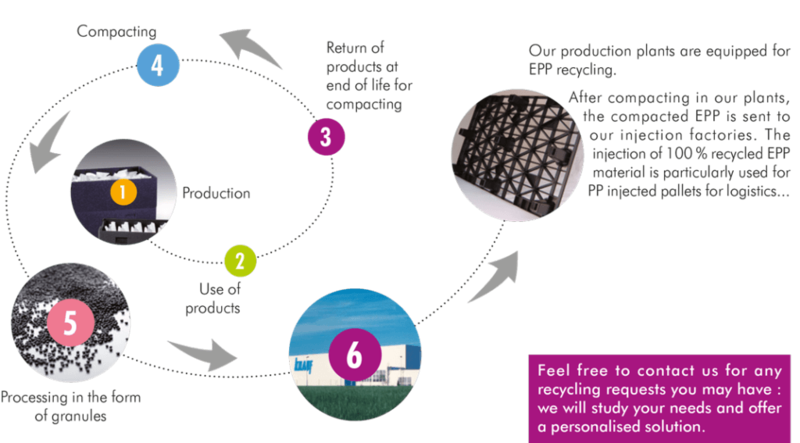 In line with the guidelines of the Circular Economy roadmap, Knauf Industries favours solutions based on 100% recyclable materials and which are covered by recycling schemes. airpop® is one of Knauf Industries’ favoured materials. airpop® products are 100% recyclable. Either by crushing and reincorporation in new technical items or industrial packaging. 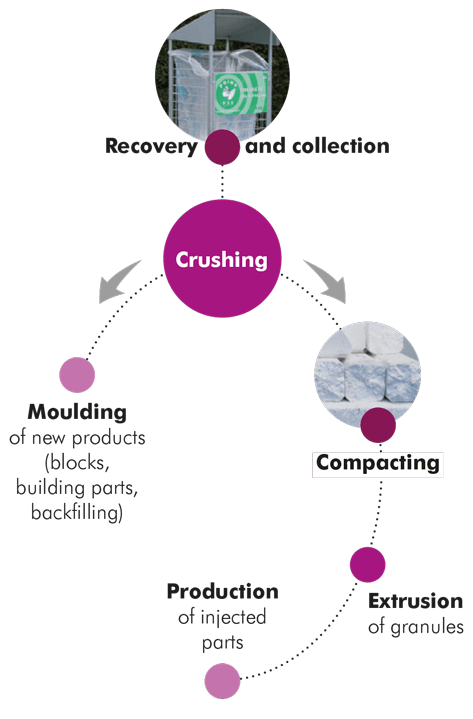 Or by compacting to turn it into raw material intended for plastic item production. Like most homogeneous thermoplastic materials, Expanded Polypropylene fluidizes under the effect of heat and subsequently hardens on cooling, in a reversible process. Therefore, it can be recycled ad infinitum!